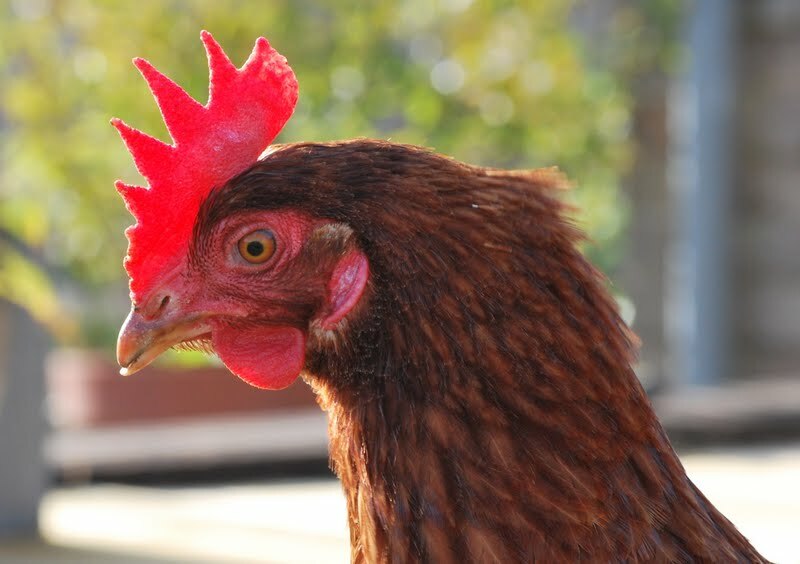 Jim and I recently took possession of three chickens; Rhoda, Isla and Red. They had come to the end of their productive egg-laying farm life and were to be made into dog food. Instead, for the princely sum of one pound each, they came to live in our garden. They moved into a hutch-type-thing that we bought off Ebay. The previous owner kept cats in it. Yes, cats. Who knows? And what an endearing, infuriating, hilarious, heartbreaking, interesting and productive experience they have been. They lay an egg each per day, make us laugh and follow us around the garden in the hope that, joy of joys, we do some digging. Our two dogs have struggled to understand why these large feathered snacks are allowed to wonder around the garden with impunity. 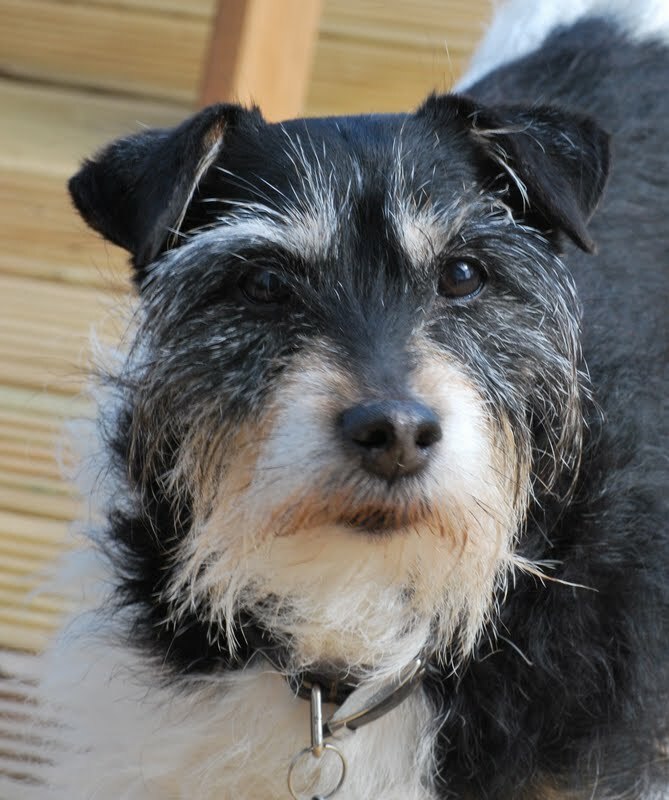 For the first few weeks both Hobbes (an aged, arthritic Weimaraner) and Solo (an aged, terrier cross or cross terrier – both statements are true) had to be closely monitored. Should the chickens get a little flappy, it was all the dogs could do to stop themselves pouncing. Pouncing and biting. Only gentle biting, mind you. More a mouthing, really. One day, on hearing a noisy chicken commotion, I ran out into the garden to check all was well. The chickens were a little flustered but Hobbes was just looking at me innocently. If it hadn’t been for the chicken feather poking out from her upper lip she would’ve got away with it too. Having learnt that biting chickens was not acceptable, Hobbes took to staring at them and occasionally sniffing them intently. The latter she would do with gusto, forcing her muzzle right under a chicken bottom and pretty much lifting it off the ground in her snuffling enthusiasm. 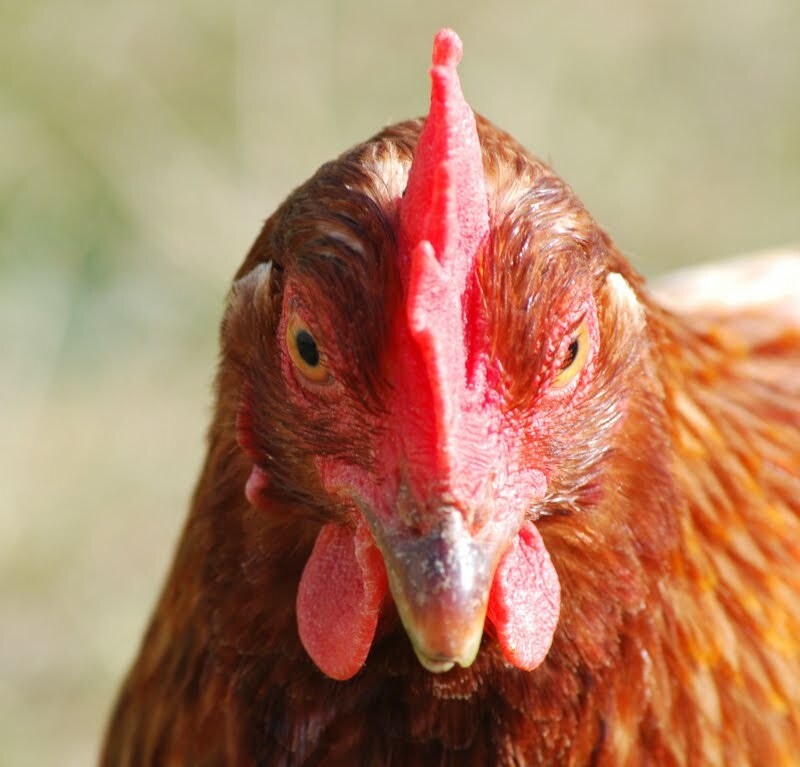 Much squawking and outraged clucking would ensue as an affronted chicken would struggle to regain her chicken dignity. But it didn’t seem to deter Hobbes. In the past few weeks however the relationship has matured. Hobbes has learnt that where there are chickens there is often chicken feed. And so now, when I look out into the garden, she and the birds can often be seen quietly eating chicken food or grazing grass together. Solo however found it easier, and more lucrative, just to jump straight into the hutch, climb the ramp and walk up into the nest box for an eggy treat. A quick redesign soon foiled her. Much to her annoyance. We hadn’t had the chickens for more than a couple of hours when, drinking coffee with friends, we glanced out into the garden to see a big dog fox staring at the hutch from a few feet away. Word was out. 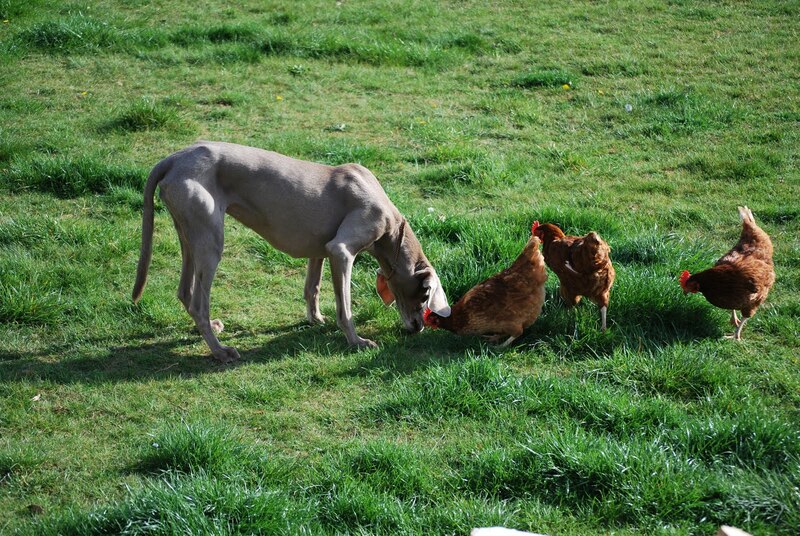 As the chickens had become so popular with the local fox population, we only let them out of their hutch when either one of us, and the dogs, were about. But one day, in the time it took for Jim to have a shower, Rhoda was snatched and only a few stray feathers were left to tell the tale. It was mid afternoon and the dogs were fast asleep in the sun. Since then we have been more vigilant still, though I suspect it’ll only be a matter of time before another chicken is snatched. I think you have to be fairly philosophical about it. It’s difficult not to hate the fox but they’ve probably got young to feed and the chickens have had several extra months of life rooting about in the garden. And the house. They do like to get into the house. If the big sliding doors are closed they stand and stare in at us. Clucking. Or they’ll walk round to the side of the house to check whether the other door is open. It’s like living under a chicken siege. A week or two ago an almighty squawking had me leaping out of bed at six in the morning. A fox was staring at the chickens, drooling. As I stepped outside and glowered at her, she (I’m guessing it was a vixen) just stared back at me. I waved an arm and she reluctantly leapt over the garden fence. She came back twice more in the next twenty minutes; seemingly unbothered by my presence. She just watched coolly as I fetched my camera. Only by running at her waving my arms, dressing gown flapping and yelling (sorry, neighbours) did she run off. Even then she didn’t seem particularly perturbed. More inconvenienced really. Since then she hasn’t been back but I’m sure she will be. We’re all on our guard; well, except Hobbes and Solo. They’re fast asleep. Hi Sara, yes I do too. Hi Trevor, thanks. We let ours out for the same reason – just because they enjoy it so much. 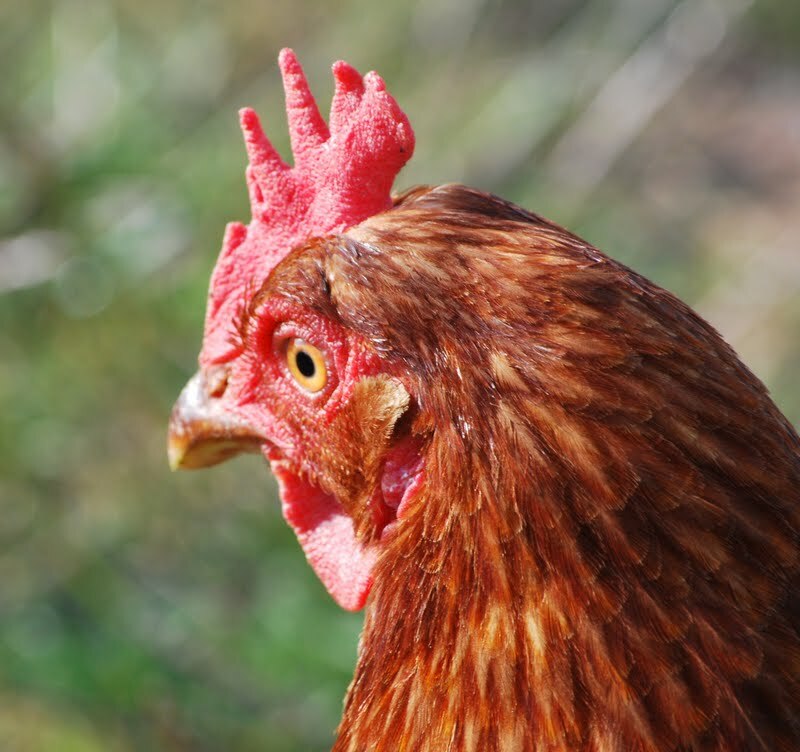 Friends who live a mile away or so, in a much more rural location, leave their chickens out all day long and they (so far) haven't come to any harm. Hi Andrea, Jim really, really, really wants a goat. Well two actually. I suspect one day it will happen. I had kind of hoped my dogs might battle it out with any roaming foxes. Fat chance! As usual love your photos! Dogs and chooks now you just need a goat! 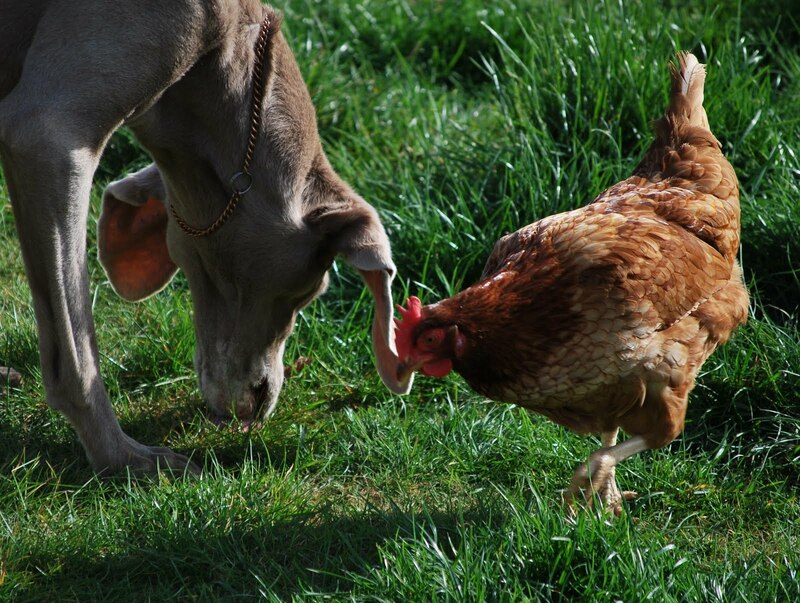 We have a kelpie(sheep dog) who's job it is to mind the chooks while they roam the garden. Cheers! Andrea. Great post. I sympathise with the dilemma. 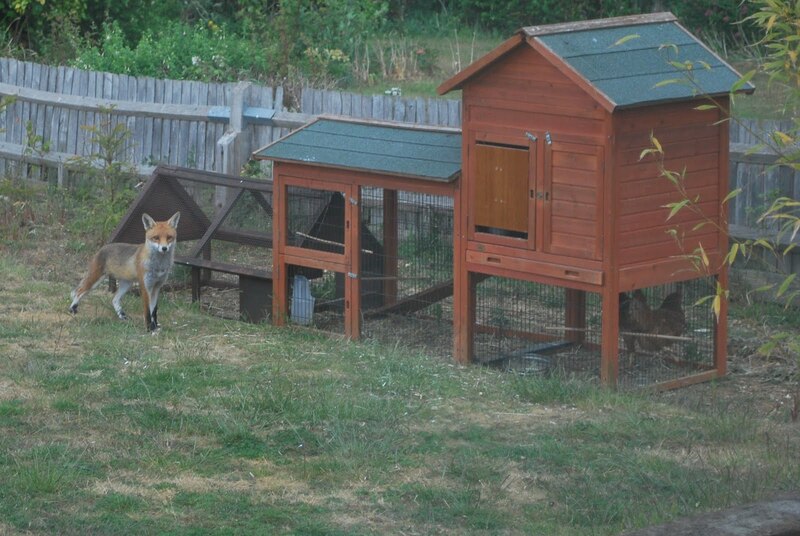 We had 5 hens (note past tense) until the fox got two last year. I let them free to wander everyday in our field and put them away at night so they take their chance. I console myself with the fact that they have a free and beautiful life to do as they please and if Monsieur Reynard happens to call by, well, so be it. Can't believe how tame a lot of 'wild' animals are now. Lovely ladies. Very sad about Rhoda, just when she'd found a little happiness. I hope the remaining two continue to outwit old Red. Sadly Stacy the mandarin ducks have disappeared. I'm hoping the ducklings hatched and the family moved on but do wonder whether something didn't raid the nest. There are loads of squirrels and this year a glut of magpies – notorious nest raiders. Between the chickens staring at you at home and the ducks staring at you from the duck (that is to say, owl) box at the Priory, it's amazing you aren't completely paranoid. 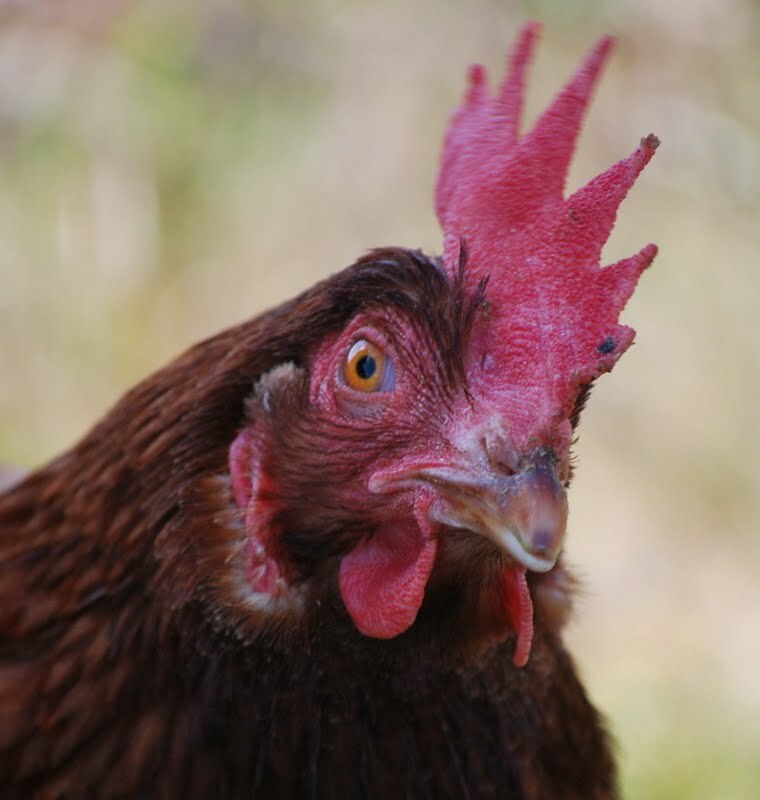 Who knew chickens had so much personality?